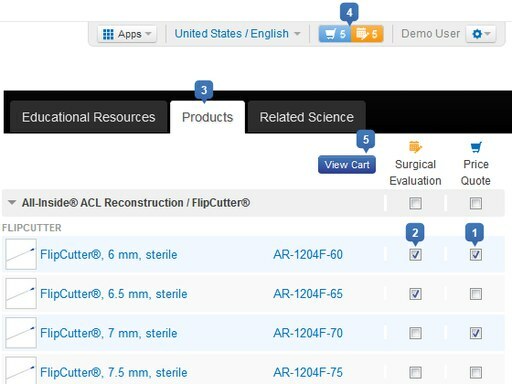 The Complete Plantar Plate Repair System (CPR™) treats plantar plate tears and attenuation from a dorsal incision. This single, self-contained kit is available to provide solutions for this challenging-to-treat area of the foot. The CPR Micro SutureLasso™ and Mini Scorpion™ DX devices provide suture passing options in the plantar plate, while the Mini Joint Distractor aids in visualization and access to the confined space. The surgical treatment we describe reconstructs the anatomic structure that leads to instability of the MTP joint. A plantar plate repair and lateral soft-tissue reefing can restore normal alignment of the joint with anatomic repair. 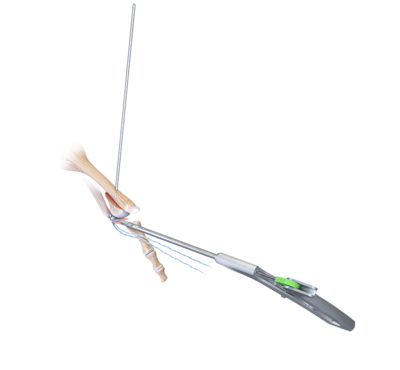 The new Mini Scorpion DX has been designed for those distal extremity applications requiring a miniaturized version of the Arthrex sports medicine Scorpion™. The more ergonomic and minimized instrument offers versatile suturing options for use in tight, hard-to-reach places. The FastPass Scorpion™ technology provides a suture-capturing mechanism to automatically retrieve 0 FiberWire® after passing through tissue. This instrument works well under direct visualization, as well as during “blind” passes through the plantar plate from a dorsal approach where access and visualization are often limited.